"Your Inner Allies Are Always All-Wise"
Chakra Sister #7 - "IAMONE" Crown. Connection to Source. Spiritual wisdom. Unity/Oneness Consciousness. Self Realization. Chakra Sister #6 - "USEEME" Brow. Third Eye. Intellect. Vision. Inner Vision. Light and patterns. Knowledge. Sees all from a Higher Perspective. ​Chakra Sister #5 - "SINGYA" Throat. Expression. Intuition. Listening and speaking one's Higher Truth. Chakra Sister #4 -"AHLUVYA" - Heart. Giving & receiving love without conditions. Openness. Ease with self and others. Chakra Sister #3 - "AHAFTA" - Solar Plexus. Personal power. Center of motivation, achievement, self esteem, integrity. Chakra Sister #1 "ANEEDA"- Root. Basic needs, food, shelter, family, belonging, foundation, connection to earth. Did you know that each chakra has a corresponding psychological and emotional Life Lesson? 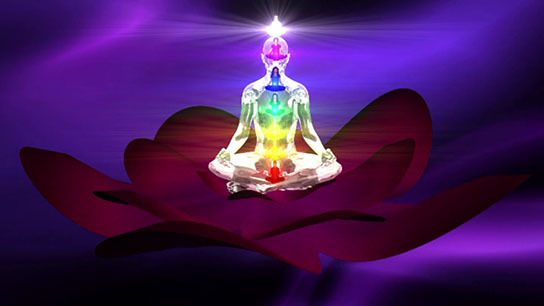 The 7 major chakras, or 'energy centers', are located at various points on the human body. These spinning 'vortices of energy' correspond with the endocrine system from the western world of physical science, and the spiritual holistic system from the eastern yogic philosophies and practices. "Chakra" means 'spinning wheel of light'. Each chakra spins at a specific frequency that corresponds to our thoughts and emotions. When our life feels out of balance, it means that we may have too much or too little energy (dispersed or congested). Inner harmony is felt when the chakras are open and vibrating at optimal frequencies for healthy dynamics in our physical, mental, emotional, and spiritual 'bodies of light'. Studying the energy psychology of the chakras and understanding their relationship with our health is the 'energy medicine' that will help guide us toward enlightened living. When we consciously direct the flow of energy through us, we are empowered to take charge of our lives and to be the Master Directors of our own energy. 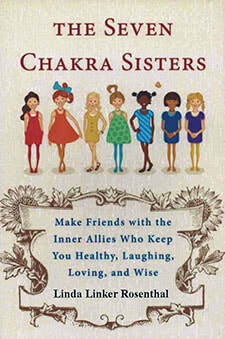 Our Chakra Studies courses, based on the book, "The Seven Chakra Sisters - Make Friends with the Inner Allies Who Keep You Healthy, Laughing, Loving, and Wise" by Linda Linker Rosenthal, uses The Seven Chakra Sisters system. It simplifies an esoteric subject and will give you down-to-earth-tools and the spiritual wisdom you need to help you stay healthy in all areas of life. It is practical. It's fun....and it is effective. Understand how and why you internalize negative energy from others. What motivates you... or what stops you?